The old Trotskyist chant, regularly rolled out on posters at demonstrations some of us can remember, was “neither Washington nor Moscow”. I’m going to argue that in the present day the real task is to avoid alignment with either Washington or Berlin, and that, in fact, an alliance with Moscow is in the interests of our country. We like to imagine that we are America’s top ally in Europe, and indeed in the world. This belief is somewhat lazily founded on the ethnic relationship between the Anglo-Saxons of America and Britain, but national policy in both countries is (foolishly) explicitly aimed at removing that Anglo-Saxon cultural and demographic foundation and replacing it by a “multicultural society”. If we needed any hint that America’s foreign policy is not based on Anglo-Saxonism, it is there in plain sight: for decades, an anti-Anglo-Saxon hysteria has seized hold of US politics, indicating that our alliance with them has dragged and can only drag us further into actions that contradict our national interests (such as mass immigration, to replicate the ethnic problems of America). I would not argue that US policy is well-thought-out, but it seems that Germany is the main lynchpin of US policy in Europe. This is based on the “Western Alliance” idea that underpins both the EU and NATO. I wouldn’t object to a Western Alliance that sought to preserve European nations and identity but this is not the aim at all. The Achilles’ heel of the US-German alliance is that a military rise of Germany would challenge the US role in the world. As, for the moment, Germany is not contemplating a military rise, the Western Alliance aims to function as a kind of United West on the world stage, under the economic and military hegemony of the United States. This was made clear by the former US ambassador, Louis Susman, a few years ago who, in an astonishing outburst, told the UK government “all key issues must run through Europe”. This is a neo-conservative view of the world, but it is one that the US “deep state” seems determined that the Trump administration should not drop. It seemed briefly as if America would rethink this, but now Trump has shrivelled as a president, and the neo-cons seem to be effectively in control again. How else, other than through the prism of the US-German alliance, are we to interpret US intervention to topple the Yanukovich government in the Ukraine in the so-called Maidan? The US government (in the person of Victoria Nuland) admitted to having invested US$5bn in political networks in the Ukraine, and there is growing evidence that the Maidan protests were co-ordinated by the CIA. During the protests, the CIA director, George Brennan, was present in Kiev, an unusual presence if the US were not directly involved. The Ukraine is a key national interest of Russia, given that the Ukraine is the very battleground where Nazi Germany’s armed forces were defeated and thrown back. The neo-cons were clearly attempting to detach the Ukraine from the Russian sphere and influence and add it to the EU. I can flesh this out a bit. While a student in Voronezh (within Russia, but not far from the Ukrainian border) in 1994, I noticed a plaque in the park there: in that park in the 1940s—I forget which year—there assembled the Voronezh regiment, and that regiment launched a counterattack against the Germans. That regiment did not stop until they got to Vienna. Can you imagine the toll in Russian lives? At the Battle of Stalingrad, further to the south, where the Russians simply refused to give up the city even while they held only the riverbank, the average life expectancy of a Russian soldier was 24 hours. The Second World War was an amazing waste of life, and a toll that amounted to around 30m Soviet lives, far in excess of the number of Jewish deaths in the war it could be added (although I will agree that all deaths are tragic and we must not play competitive numbers here; I merely point out the Russian death toll has been forgotten). I watched a video on Youtube today where Peter Hitchens pointed out that that Russian sacrifice at Stalingrad and in the wider war cannot be repaid. The continent would be under Nazi rule without it. I suggest we bear that in mind. Mr Hitchens spoke of a house in Kalingrad (which was Königsberg in East Prussia before the war) where he saw Russian graffiti from the war period: “why, if you were living so well in such nice houses, did you Germans need to come into our country and destroy us?” The Russians genuinely could not understand why what had happened happened. It seems the anchor of the US-German alliance is anti-Russianism. Playing up Russia as a threat helps to keep Berlin and Washington on the same side. However, I am not sure we need to be a pawn in this sort of great power game. At the least, we have our own interests and must not be dragooned into supporting American or German interests and kidding ourselves they are our interests. I find German treatment of Greece and Ireland during the bail-outs repulsive. If the Greek drama plays out again, I would encourage the UK government to extend a £10bn low-interest-rate loan to Greece to help them get out of the euro without tragedy and pay for the printing of a new currency and the minting of new coins. It would be a cheap way of opposing German geopolitical strategy. Opposing Russian policy in the Ukraine drags us into a German worldview. But if the souring of great power relations continues, who eventually will our allies be against Germany? Russia is sure not to wish to be a German satrapy. Countries like Poland and the Baltics are making an uneasy one-way bet on Germany. Sure, alliance with Germany is a more economically vibrant bet than alliance with Russia, offering trade and investment links with a more advanced European core, albeit one locked into low growth and mass immigration from the Middle East. But those countries cannot be sure of German intentions over the longer term. I think countries like Hungary are wise not to wish to be seen to be too anti-Russian. I believe the Slovaks are uneasy too. The way the EU is trying to foist migrants on Eastern Europe shows clearly that those countries are no more in control of their destinies than were the Warsaw Pact countries under communism. So I believe political, economic and military alliance with Russia to be our best option. I agree that the US and Germany are much richer and can offer better trade opportunities than Russia, but their insistence that we follow anti-national policies is quite problematic. We must seek to get out of the Washington-Berlin axis. I propose a European Alliance, for all countries, including Germany, that follow the basic principle of seeking European survival and non-intervention in domestic policy. The euro must go. The acquis communautaire must go. We could start with Britain and Russia: a free-trade agreement with joint recognition of product and qualification standards, zero tariffs and a preference, where necessary, for European immigrants from each other’s countries. I mean Britons of British descent would have easy access to Russia; Russians of Russian descent (not Chechens) would have easy access to Britain. Belarus could join: we would make clear we have no intention of freezing countries out. If Greece leaves the euro, they could join. Hungary and others could be urged to join. If Australia and New Zealand wanted to sign up, they could. Germany could join after the collapse of the EU, but would have to accept that, with Russian membership, they would never be the largest country in the alliance. Countries that allowed Middle Eastern migration would not be entitled to apply to join. While the US would be welcome if it qualified, its current ethnic policies point to its becoming a part of Latin America this century and hence no longer an ally of Europe, and thus not in a position to apply to join the alliance. Our European Alliance would be a better alliance for European survival than the current pro-multicultural Western Alliance. The EU without Russia makes no sense: by encouraging the Eastern European nations to join, we have merely furthered German foreign policy, which aims to see Mitteleuropa under German influence. Similarly, the way France insisted on the creation of the euro as the price for German reunification has merely furthered German dominance. We must have a Europe of nation-states, which means the EU must go and be replaced by something better. Russia must be part of that. 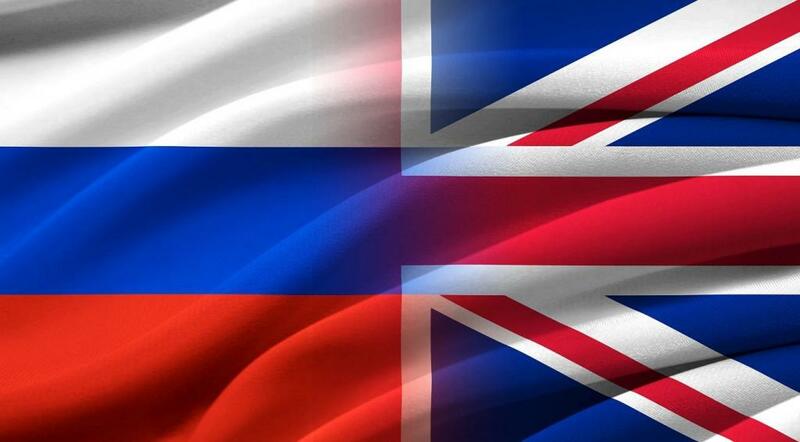 Finally, if we fall out with the Americans, I would welcome Russian military bases on British soil. I’m sure MI5 and MI6 would play a similar role to the CIA and FBI in the US in destabilising a future nationalist British administration. We must think about that in advance, but in the end, we must allow neither Washington nor Berlin to dictate our future. Russians: The Most Betrayed People in Modern Times?